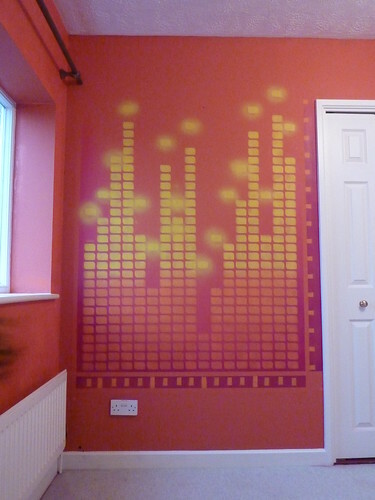 I’m a strong believer that music and art go hand in hand, I really enjoyed painting up Ben’s studio , some of it was quite technically challenging but all turned out well. 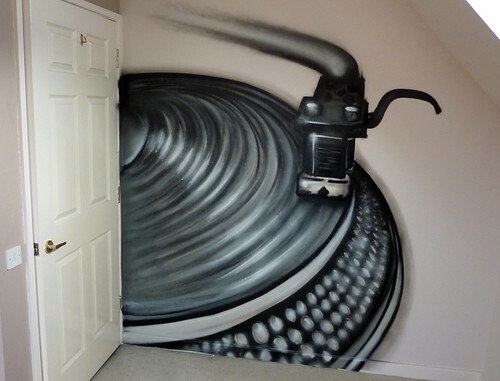 This entry was posted in Artwork, Commissions and tagged Bens studio MK, graffiti record player, graphic equilizer graffiti, music studio for hire MK, music studio wall graphics graffiti. Bookmark the permalink.